gas safety certificates or emergency plumbing services, J. McLaren Plumbing & Heating is here to help. Contact our gas plumbers today to find out how we can help you. With years of experience in the field of plumbing and heating, J. McLaren Plumbing & Heating is your premier heating and plumbing company. Our heating engineers and plumbers have the expertise to take care of all your kitchen and bathroom installations and repairs, in addition to boiler repairs. For your convenience and peace of mind, we have full public liability insurance. 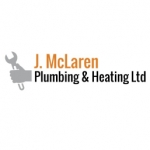 With years of experience in the field of plumbing and heating, J. McLaren Plumbing and Heating is your premier heating and plumbing company servicing clients throughout Fife. Contact us for a free quote. Are you looking for a plumbing company in Cowdenbeath that can help you solve your plumbing issues? Look no further than J. McLaren Plumbing & Heating. Radiator "Jason did a great job changing 4 radiators, he was very tidy, communicative and on time, even disposing of the old radiators, will definitely use again." Plumbing Repair & Maintenance "Very pleasant young man who completed the work efficiently and at a great price. Would highly recommend him. As well as doing a good job Jason gave me tips on how to ensure my radiators continued to work efficiently. Thanks Jason, it was such a pleasure to have you in our home."